Now that it’s getting cooler (in most of the States atleast) it’s time to start letting the hemlines drop and bring those winter staples out of storage. But who says covering up meant you had to ditch style? Not us at DIY2EMC, and of course we’re going to show you how to stay spot-on trendy without racking up charges on the card. 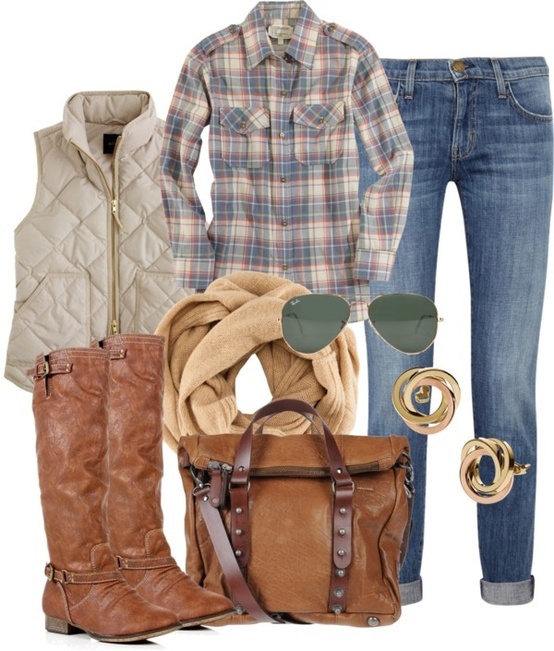 At Fashion Week, the hottest fashion houses were Mad for Plaid and the puffer vest has yet to go out of style. (Millions of lumberjacks through the years would agree) So grab your winter boots of seasons passed, your favorite Seattle worthy button down and rock that puffer with pride. Closet missing an item or two? No worries….we did the bargin hunting for you! Although we’re coveting the sleek look of this Jil Sander puffer.….the $1,100+ price tag make us gag. Thank goodness for good ol’ Tilly’s and their stylish version. At $25 it’s a pain-free purchase indeed! Ready to get your Kurt Cobain Couture on but dont have the $370 to drop on Etoile Isabel Marant’s look? Cue Old Navy’s flannel wonder that’ll only set you back an easy-peasy $17.50. Are those favorite boots-made-for-walkin’ ready to make a b-line to the nearest trash bin? Since these stunning Tory Burch numbers are the price of a monthly car note plus insurance, we found these totally affordable yet ridiculously stylish replacements from Steven Madden, Annie and Fitzwell. At $100 or less a pair, we can still strut down the sidewalk without having to be our only mode of transportation. And there you have it! Frugal fashion without an ounce of buyers remorse! If only the same could be said for these cringe worthy fashion faux pas….